The retailers involved with this year’s campaign are www.my-warobe.com where they have garments from Tabitha Webb which has designed a baby pink floral dress in support. Over at www.debenhams.com they have teamed up with Henry Holland with his pair of shorts which are embraced with a girly lace design and his pretty printed top. 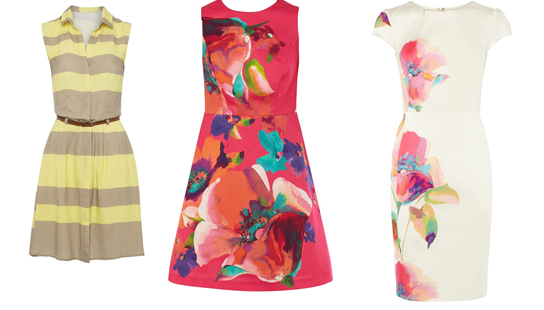 Laura Ashley walks the line with her vision of stripes amongst her vintage baby pink floral dress on www.lauraashley.com. Florals are still in bloom throughout the especially designed pieces continuing to feature on www.coast-stores.co.uk with their floral frocks from a burst of pinkness to calming whiteness. The top’s and trousers are within support of the campaign through www.velevetjones.com legging which come monochrome colour palette however, perfect for the festival season by adding a pair of ankle boots to your look. 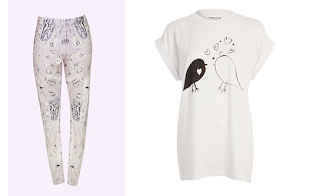 Staying on the monochrome colour palette www.riverisland.com have created a t-shirt with a print of two birds in love perfect to go with jeans. 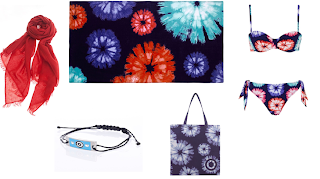 www.markandspencer.com have gone for a beach theme in order to support this year’s campaign through their bold Tie dye floral bloom neon two piece bikini whilst adding the same patterned towel to finish off your beach look. Speaking of accessories regarding a towel River Island has also created the perfect bracelet whilst, www.lullilu.com have gone colour blocking with their simple red scarf and Mark and Spencer have carried on their tie-dye with practical bag.